NYC Smile Design - BLOG - EAT YOUR PEAS -- THEY'RE GOOD FOR YOU! Yes, eat y our fruits and vegetables! This is one of the very basic cardinal rules on keeping your body as healthy as possible. 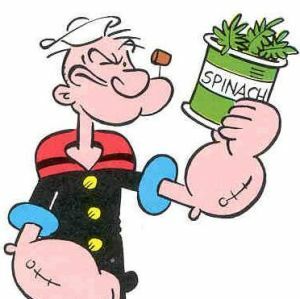 (After all, there is something to be said for the spinach that gave Popeye his bulging biceps.) This is even truer when it comes to minimizing your risk for oral cancer. In a collaborative study conducted by Columbia University's Medical Center, and the Harvard School of Public Health, it was found that those with a high amount of folic acid, commonly known as Vitamin B9, were less likely to develop oral cancer. 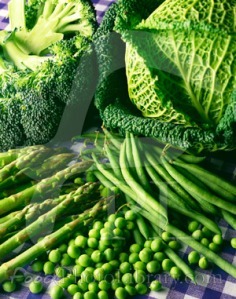 Vitamin B--found in a lot of vegetables and often added to other foods--helps in building new cells. For those who consume alcohol especially, it is important to eat foods that are rich in Vitamin B9 in order to replace any dead cells, or to repair the weakening of your metabolism caused by alcohol consumption. This study is among the more than 40 that have been conducted on the correlation between fruits and vegetables and the reduction of oral cancer risk. In addition to helping keep you fit, rather than fat, fruits and vegetables also play a protective role for your body. Making sure you include lots of them in your diet will help you lower your chances of developing oral cancer. In addition to Vitamin B9, fruits and vegetables also contain ellagic acid and probiotics that are especially beneficial in preventing oral cancer. So next time you're shopping for groceries be sure your cart is full of your favorite fresh vegetables and fruits, and have fun trying out some new and interesting ways to serve them every day. They may not make you look like Popeye, but you're sure to enjoy better health because of them.